Loans for Any Purpose up to $ 100,000 in 3 Easy Steps. Get Started Now. Rates starting at 5.34%* APR with AutoPay. *For example, a three-year $10,000 loan with a Prosper Rating of AA would have an interest rate of 5.31% and a 2.41% origination fee for an annual percentage rate (APR) of 6.95% APR. You would receive $9,759 and make 36 scheduled monthly payments of $301.10. A five-year $10,000 loan with a Prosper Rating of A would have an interest rate of 8.39% and a 5.00% origination fee with a 10.59% APR. You would receive $9,500 and make 60 scheduled monthly payments of $204.64. Origination fees vary between 2.41%-5%. APRs through Prosper range from 6.95% (AA) to 35.99% (HR) for first-time borrowers, with the lowest rates for the most creditworthy borrowers. Eligibility for loans up to $40,000 depends on the information provided by the applicant in the application form. Eligibility is not guaranteed, and requires that a sufficient number of investors commit funds to your account and that you meet credit and other conditions. Refer to Borrower Registration Agreement for details and all terms and conditions. All loans made by WebBank, member FDIC. Excluded states: AK, AR, CT, DC, MA, RI & VT.
Disclaimer: All loans subject to OneMain’s normal credit policies. Loan approval and actual loan terms depend on your ability to meet OneMain’s standard credit criteria (including credit history, income and debts) and the availability of collateral. Loan amounts are also subject to state specific minimum and maximum size restrictions. California minimum loan amount is $3,000. Georgia minimum loan amount is $1,500 for present customers and $3,100 for others. Collateral offered must meet our criteria. APRs are generally higher on loans not secured by a vehicle. Active duty military, their spouse or dependents covered under the Military Lending Act may not pledge any vehicle as collateral for a loan. Loan proceeds may be disbursed by check, Automated Clearing House (ACH) deposit, or a prepaid card. ACH disbursements can take approximately 1 to 2 business days depending on the time of loan closing. Prepaid card disbursements are limited to the first $10,000 of the loan amount and are available immediately upon activation of the prepaid card. Prepaid cards are not available in all states and are not available to active duty military, their spouse or dependents covered under the Military Lending Act. OneMain loan proceeds cannot be used for postsecondary educational expenses as defined by the CFPB’s Regulation Z, such as college, university or vocational expenses; for any business or commercial purpose; to purchase securities; or for gambling or illegal purposes. Get a Signature Loan from $1,000 to $35,000! Get a loan up to $35,000! credit, since being founded in 1991. ...or any other financing needs! How do I know what program to apply for? The best option is to check your credit scores first so that you can narrow down the choices based on your scores and the amount you need to borrow. You can check your scores and credit for free using our free score trial on the site or by clicking here. Don't worry, you can get your scores and not have it count against you and cancel the free trail within 7 days and still keep your scores. The rates and terms available are published under each section of our loan portal and by clicking on each option for more details. Please review all programs before you start to make sure that you have chosen the best program for your situation. The majority of our loan programs on our loan portal will give an instant approval in 60 seconds or less from the completion and submission of the online application. In certain situations you will not get an instant decision but an response that more time is needed to make a decision. This just means that your particular loan application, the data provided or the information from your credit report is too complicated for the automated underwriting system. You will usually be contacted by the lender or card issuer directly with a final decision within a week or less. How long does it take to get my loan proceeds, credit card or loan funding? Funding can take as little as 1-3 days but most loans fund in the 5 day range. The credit card products require 2 days to be set up and 5 days to mail the card to the customer. The majority of the cards arrive within 6-7 days from time of instant approval. Once the customer receives the card they simply activate the card and can pay for your project in full. In the case of an unsecured loan the proceeds are generally direct deposited to your preferred bank account and you can pay in cash or write a check with the proceeds. What if I am not approved for enough money that I need for my project? We recommend that if you are looking for a 0% APR program and you are not approved for enough funds that you also apply for one of the other 0% credit card programs in the same credit category. Sometime you may have to marry two different programs to get to your final number. This also applies to the straight unsecured programs as well. What if I am declined for the loans that I want? We have a special area for challenged credit and you may want to apply for those options. In addition there are links to check your credit and score and that may be one of the best places to start to make sure that there is nothing on your credit that you didn’t know about and why you may be getting declined. Where do I put the loan amount I want on the credit card application ? There is no place to put the loan amount requested on the credit card or 0% programs. You will automatically approved for the maximum line amount that your credit , income and debt ratio will allow. All of the loan and unsecured loan programs do allow you to request a loan amount and if that amount is not approved you may be presented with a counter offer. Do you take applications by phone? What if I still have questions that are not answered here ? We welcome you to contact us by phone or email. All inquiries are usually responded to within 2 hours during our normal business hours. Our normal business hours are 9:00 AM- 5:00 PM Eastern Standard Time. AMS Financial has been America’s choice for fast and easy financing since 2004. We have helped over 100,000 consumers finance their dream pools, medical procedures, home improvement projects and more with our industry leading suite of 0% cards and unsecured loan programs. Our staff has a combined 75 years of experience in consumer finance and lending and we are ready to serve you. It is our pleasure to help you and your family with your financing for anything that you may want or need to finance. We use the latest technology to procure, curate and fund the very best programs in the market. Our approvals are fast as 30 seconds on some products and our funding can be as quick as same day for some products. We have programs for all credit grades and in all 50 states. There is nothing that we cannot finance. We hope that we can help you and your family get the best program for your particular needs. Why Partner with AMS Financial For Your in house Financing Program? We work with over 50,000 partners like you nationwide and give you and your clients/customers access to the most competitive financing programs in the market. Since 2004 we have over delivered and solidified our reputation by offering the best programs and rates and delivering the easiest partner financing program for you and your sales force. Save thousands per month over other partner loan programs that charge heavy fees. We charge zero fees. Do you offer training for our sales staff? Our site is set up to be very intuitive and easy for the dealer, their staff members and customers to use. If you would like additional help or training please let us know. Do we need to accept credit cards to use your 0% APR credit card program? Yes you will need to have a merchant processing account in place in order to accept our 0% APR cards. If you need any help setting that up, we recommend Merchant Warehouse for the best rates for merchant card programs. Please contact them directly at 866-840-5014 for fast and easy set up. If you already accept credit cards and process more than $10,000 per month you may want to get a competitive quote for their no fees processing program to save you money. Can we link to your site from ours? This is the only requirement that we have to work with us. Doing so will make it easier for your clients and sales staff to find our loan portal and increase the effectiveness of advertising that you offer financing. We will email instructions to you after enrollment and you can forward the linking badge to your webmaster. What is our dealer number? We do not assign a dealer number to your account. All loans must be applied for and submitted by the consumer and not the contractor. The best way to track your loan or card approval is to be present when the customer applies. We are unable to track or provide details about specific customer approvals due to privacy regulations. How long do you take to fund? Most loans fund in the 5 day range. The 0% credit card products require 2 days to be set up and 5 days to mail the card to the customer. 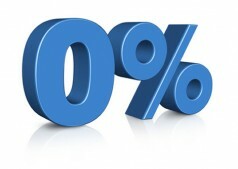 You must be set up to accept credit cards in order to use the 0% card programs. The cards will be branded as Visa, MasterCard, or Discover depending on the program selected. You will still have to pay the merchant fees that you already pay to your service provider to accept cards. How often do your programs change? Due to the nature of the banking industry and the large number of products and programs that we offer, we are unable to predict when rates and program parameters will change. The loan portal is dynamic and will always have the most up to date info on each product and program. We suggest you visit the site often to make sure that you are current on all of our best offerings. How do we insure that we get paid? We advise our dealer partners to make sure that they get a signed contract and a deposit from the customer so that there is no concern that the dealer will not get paid. Can we complete a paper application and then key in the customer’s data back in our office? Unfortunately not. We need the customer to complete the application on our loan portal so that they can be advised of and agree to the terms of service of the loan or card product. We also have fraud protection measures in place to make sure that the customer is the one completing the application. What types of products can you finance? There are no restriction on the type of products and services that we can finance. Any product or service that you provide will be financed. How much is your discount fee? We do not charge any buy downs or discount fees to the dealer whatsoever. Is there a sign up fee or dealer application we need to send or complete? We do not charge a sign up fee and do not have a formal application process for our dealer partners either. We want to make using our programs as easy as possible. In addition since we fund the client directly via a direct deposit to their bank account or a credit card that they are sent we will not need your business financials or any long application process that other finance companies require. You and your customers can start using this site immediately. How long does it take to get a loan approval? The most of our loan programs on our loan portal will give an instant approval in 60 seconds or less from the completion and submission of the online application. In some case the 0% programs will require additional time to approve or decline the applicant. Where do we send the home improvement contract and completion certificate? The customer is underwritten and funded directly so we do not need to see your sales contract or completion certificate. The client is funded up front and you can make any arrangements that you want to structure payment to your company with the customer. Name: AMS Financial Solutions, Inc.
Email: AMS Financial Solutions, Inc. These responses are not provided or commissioned by the bank advertiser. Responses have not been reviewed, approved or otherwise endorsed by the bank advertiser. It is not the bank advertiser's responsibility to ensure all posts and/or questions are answered.www.myanypurposeloan.com is an independent, advertising-supported comparison service. The owner of this website is compensated in exchange for featured placement of certain sponsored products and services, or your clicking on links posted on this website. Who can complete this loan application ? Who can complete this card application ? The credit card application must be completed online through this website portal by the end user customer that wants to obtain the loan or financing. The credit card application cannot for any reason be completed by the dealer, merchant or partner. All card applications must be completed through the website loan portal. We do not take card applications by phone, fax or email due to strict compliance rules. Do not apply or complete the card application unless the card is for you. AMS Financial Solutions maintains this World Wide Website (the “Website”) to provide general information on AMS. This Website is copyrighted and the content hereof must not be reproduced, distributed, modified or otherwise used contrary to copyright law. You may not copy, use, distribute, or modify any of the contents of the Website for public or commercial purposes without the prior written consent of AMS. However, AMS grants you permission to make one copy of the content on any or all pages of this website for personal use or reference, provided you retain all of AMS”s copyright or other proprietary notices on all such copies, and further provided that this permission shall be automatically revoked upon your violation of any of these Terms and Conditions. AMS does not warrant that your use of materials displayed on the Website will be free from the infringement claims of third parties. AMS, the AMS Logos, and any other marks used on the Website to designate the origin of AMS”s goods or services are trademarks of AMS. Any other trademarks used on the Website are the property of their respective owners. While AMS endeavors to keep the information on the Website up to date and accurate, AMS makes no warranties or representations as to the timeliness or accuracy of any information on this Website, and you are expressly advised not to take any action, or make any decision, in reliance on any statement contained in the Website. AMS may not be held legally responsible for any errors or omissions in the content of the Website. Except as noted herein, no statement on the Website constitutes a contract, a representation or warranty, an offer to enter into a contract, or an offer of employment, and no statement on the Website is (or shall be deemed to be) incorporated by implication, reference or otherwise into any contract, or any employment relationship, with AMS. The only terms and conditions applicable to performance by AMS are the terms and conditions expressly stated in a separate written agreement executed by AMS. Your use and browsing of the Website is entirely at your own risk. Neither AMS, its affiliates, nor any other party involved in creating, producing, or delivering the Website will be liable for any direct, incidental, consequential, indirect, or punitive damages arising out of your access to, or use of, the Website, regardless of the theory or basis upon which damages are claimed. The content of this Website is provided to you AS IS AND WITHOUT WARRANTY OF ANY KIND, EXPRESS OR IMPLIED.THE IMPLIED WARRANTIES OF MERCHANTABILITY AND FITNESS FOR A PARTICULAR PURPOSEARE DISCLAIMED. Some states may not allow the exclusion of implied warranties, so some of these exclusions may not apply to you. Electronic communications, databases and websites are subject to errors, malfunctions, tampering and break-ins, and their use may result in damages to the user”s systems or operations. AMS assumes no responsibility for, and shall not be liable for any damages to, your computer equipment or your software or other property, even if that is caused by your access to or use of the Website or your downloading of any materials (including any text, images, video, or audio) from the Website. It is your responsibility to use appropriate measures, such as virus-detection software, to protect your information technology assets. Any communication that you send to AMS or to the Website by electronic mail or otherwise, including any questions, comments or suggestions (“Transmittal”), is non-confidential and non-proprietary, unless you and AMS have executed a separate confidentiality or non-disclosure agreement applicable to the Transmittal and the Transmittal expressly refers to that agreement. AMS may use any such Transmittals for any purpose, without responsibility, or obligation to you. AMS may use your Transmittals for reproduction, disclosure, transmission, publication, broadcast and posting. AMS is free to use any ideas, concepts, know-how, or techniques contained in any Transmittal you send to AMS or the Website for any purpose, including developing and marketing products using such information. AMS has not reviewed all of the sites linked to or listed on the Website. AMS is not responsible for the content of any such pages of any other sites of other parties that may be linked to or from the Website. Your click through or jumping to any other pages or sites is at your own risk. Because AMS Financial recognizes that you have the right to privacy, we also recognize that you have the right to expect your personal financial information to remain private and secure. While certain information is critical to providing quality service, we cannot overlook the fact that one of our most important assets is our customers’ trust. Therefore, the safekeeping of customer information is a priority at AMS Financial. Information about consumers is accumulated from a variety of sources. Some of the information is provided to AMS Financial directly by customers themselves. Other information could be obtained by AMS Financial from outside sources. We will limit the use and collection of information about our customers to that which is necessary to administer our business, provide exceptional service, and offer opportunities that we think will be of interest to customers. This means the information will be used for identifying additional products or services which we believe customers might want to know about. It could also include information and mitigating potential risks or losses to AMS Financial. We will use this information only in accordance with the principles indicated in this policy. AMS Financial has established procedures to ensure that your financial information is accurate, current and complete, in keeping with reasonable commercial standards. Should you ever believe that our records contain inaccurate or incomplete information about you, please notify us. We will investigate your concerns and correct any inaccuracies in a timely manner. At AMS Financial, employee access to personally identifiable customer information will be limited to those with a business reason for knowing such information. Employees are trained on the importance of maintaining the confidentiality of customer information as well as the privacy principles described in this policy. Due to the importance of these issues, all AMS Financial employees are responsible for maintaining the confidentiality of customer information and any employee who violates these privacy principles will be subject to disciplinary measures. AMS Financial is committed to the security of your financial and personal information. All of our operational and data processing systems are in a secure environment that protects your account information from being accessed by third parties. We maintain and grant access to customer information only in accordance with our internal security policy, including through the use of our internet and e-mail services. We may preserve the content of your e-mail, your e-mail address, and our response so that we can more efficiently handle any questions you may have and also to meet legal and regulatory obligations. It is AMS Financial’s policy not to reveal specific information about customer accounts or other personally identifiable data to unaffiliated third parties for their independent use unless: 1) the information is provided to help complete a customer-initiated transaction: 2) the customer requests or authorizes it: 3) The information is provided to a reputable credit bureau or similar information reporting agency: 4) the disclosure is required or allowed by law (e.g. subpoena, investigation of fraudulent activity, requested by regulator, etc. ); or 5) the customer has been informed about the possibility of disclosure for marketing purposes through a prior notice and given the opportunity to decline or “opt out”. When AMS Financial conducts business with third parties, it requires its vendors and suppliers to maintain similar standards of conduct regarding the privacy of personally identifiable customer information provided to them. AMS Financial values our customer relationships. Because we recognize and respect your privacy, we want you to understand how we use the information you provide as well as our commitment to ensuring your personal privacy. As a result of our commitment, we have developed these Privacy Principles which are made readily available to our customers. Customers who have questions about these Privacy Principles or have a question about the privacy of their customer information should call us at 800-783-6540. AMS Financial protects the privacy of customer information sent to and from our web-sites by utilizing the same security and privacy standards that are applied to traditional banking transactions. These Privacy Principles apply to individuals, and we reserve the right to change them, along with related provisions at any time.